The Academy Awards are this Sunday, and theInStyle offices have plans to gather around the TV promptly at 5:30 p.m. EST for the red-carpet kickoff, prepared for the long (but fun!) night ahead with plenty of pizza and chocolate. 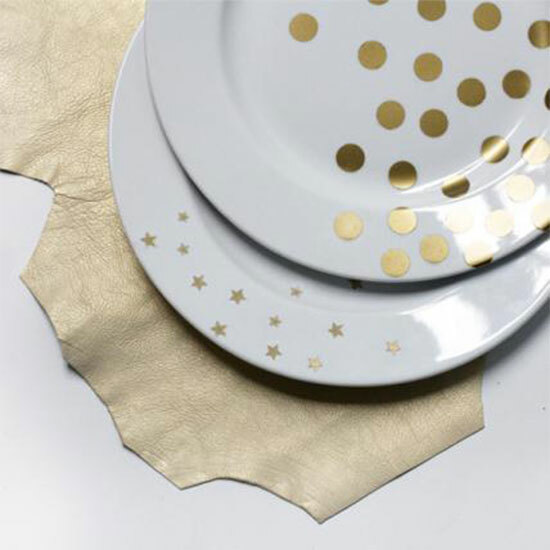 And thanks to Jenni Radosevich at iSpyDIY, we’ll be able to get into the spirit of the evening even more with these DIY gold-star plates. 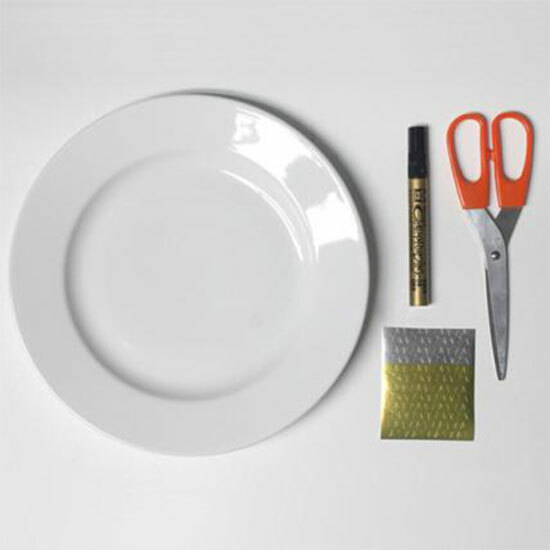 Radosevich came up with the idea especially for us, and once we saw the finished product, we immediately thought how perfect they’d be for Oscars night—or any awards show celebration! 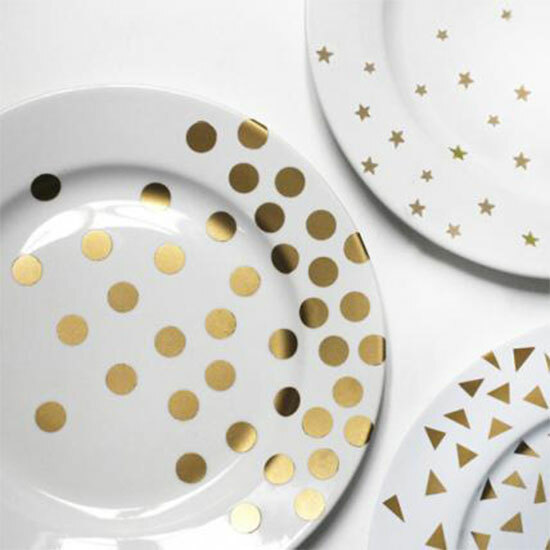 If you’re hosting a soireé this Sunday (or heck, even just looking to add some pizzazz to tired tableware) check out Radosevich’s seven-step tutorial on how to create these party-perfect plates. 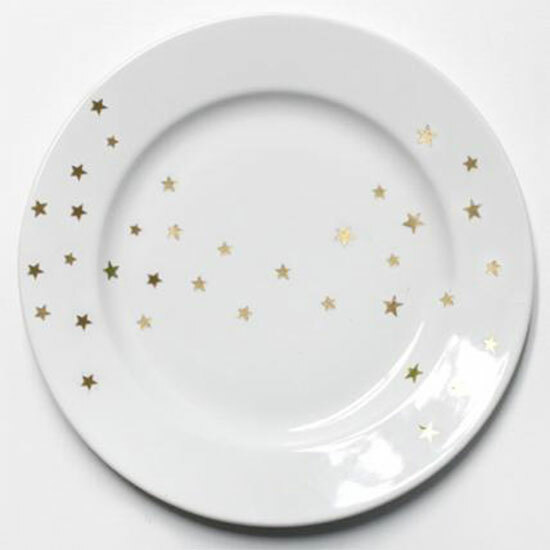 Cut out your star sticker, then peel off the sticker surrounding the star and adhere to your plate. 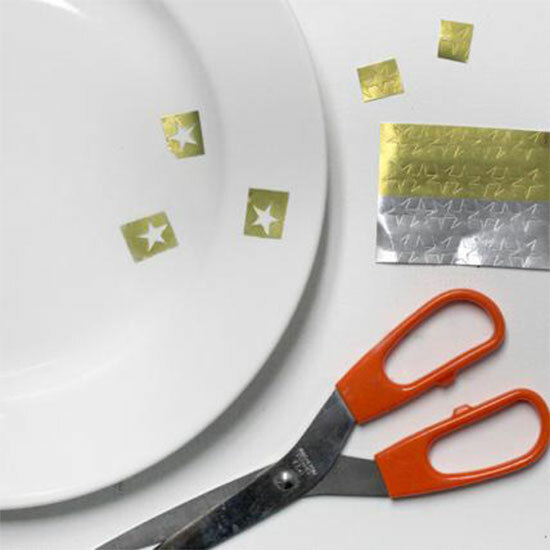 Repeat this step multiple times, placing stickers randomly or creating a pattern. 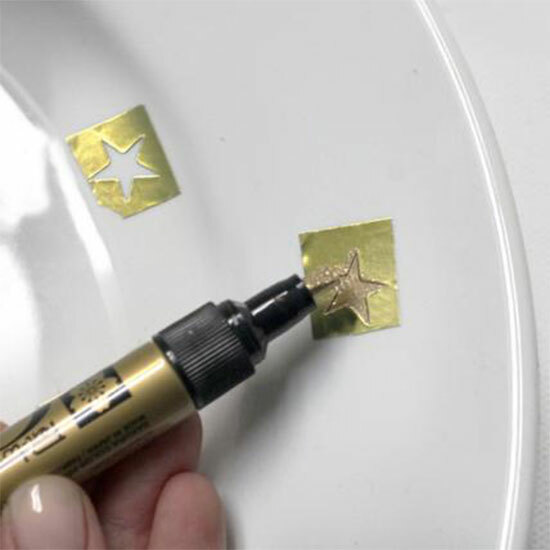 Next, color in the negative space with your gold paint pen to create the star shape. 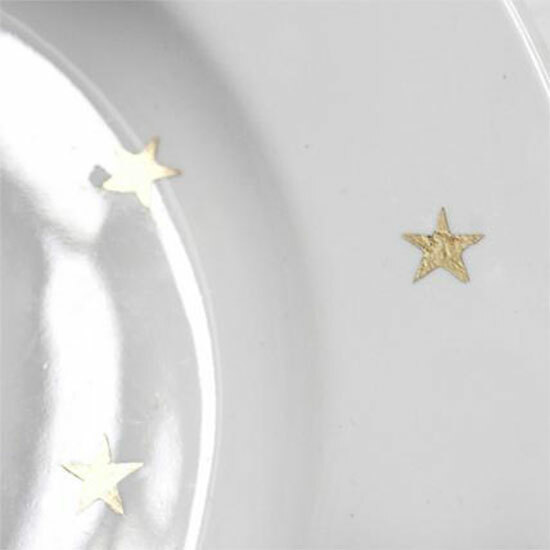 After the paint dries, peel off the sticker to reveal your stars. Repeat steps 1-4 using different sticker shapes to create a full set.